A compact SUV that is built for any adventure that you can throw at it. From going off-road or taking your family across the country, the Kia Sportage is built for all of life’s many adventures. It is engineered to excite with awe-inspiring technology, ultimate comfort, and a powerful engine under the hood. When you are in the market for a compact SUV, you should take a long, hard look at the Kia Sportage. If it’s an SUV you need, the 2019 Kia Sportage provides. This five-passenger compact crossover SUV is available in three separate trim levels: LX, EX, and Turbo. You also have three main packages that you can equip to your Kia Sportage. As far as engine options are concerned, the LX and EX offers a 2.4-liter four-cylinder engine that delivers 181 hp and 175 lb-ft of torque, while the SX Turbo gets you a turbocharged 2.0-liter four-cylinder that produces 240 hp and 260 lb-ft of torque. When it comes to features, the Sportage has plenty spread across the cabin. You’ll enjoy a height-adjustable driver seat, dual-zone automatic climate control, heated front seats, leather upholstery, a navigation system, a CD player, Apple CarPlay, USB ports, satellite radio, Android Auto, and Bluetooth®*. Safety is an important part of any ride; and with the Sportage, you gain xenon headlights, automatic braking, a rearview camera, forward collision warning, front and rear parking sensors, lane departure warning, automatic high beams, LED fog lights, rear cross-traffic alert, blind-spot monitoring, a spare tire, an electronic parking brake, and much more. The Kia Sportage has come a long way since it was introduced onto the market over two decades ago. It all started in 1993 when Kia was in an alliance with Ford and Mazda, and as a result of this, the Kia Sportage was designed around the base platform of the Mazda Bongo. It has come a long way since then. Kia now proudly designs and manufactures our own elegant vehicles to fit the needs and desires of our exceptional customers. Over the years, the Sportage has gone through four generations of redesign and manufacturing to give it the sleek look, elegant interior, power under the hood, and technological features that Corpus Christi drivers enjoy. The latest generation was debuted in 2016 and is set to be a heavy contender in the compact SUV market. 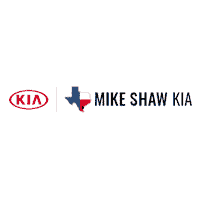 Why Mike Shaw Kia in Corpus Christi? Do you want to get into a Kia Sportage today? Well, look no further than Mike Shaw Kia in Corpus Christi, TX to get behind the wheel of one today! We have rock-bottom prices on our vehicles and have many vehicles specials to help you save even more! Save some money and let us show you our second-to-none customer service today at our easily accessible location near Portland, Robstown and Kingsville, TX.